A string of leather or leather-like material used as an important unisex accessory tagged along with a shirt and a pant which is called as the “Belt”, nowadays ladies use a belt as a jewel piece worn as a hip jewel piece on top of a western dress. To add variety to a plain flexible strap some mind blowing designs are made by using stunning studded belt designs. 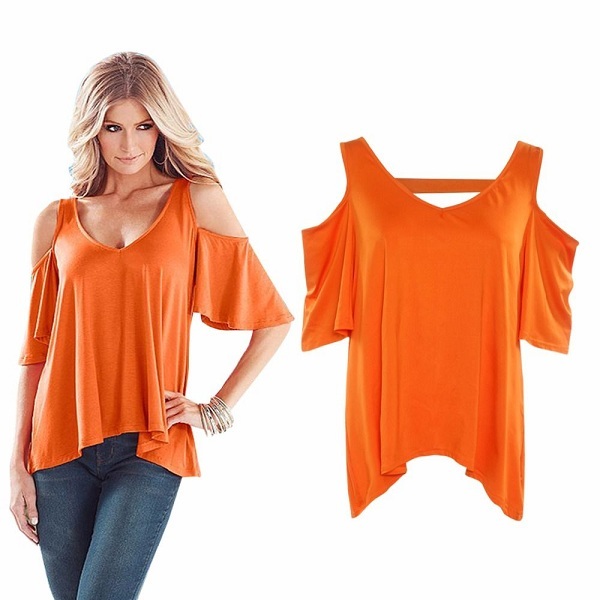 To get a glance about the top latest designs this article will be helpful in knowing them. 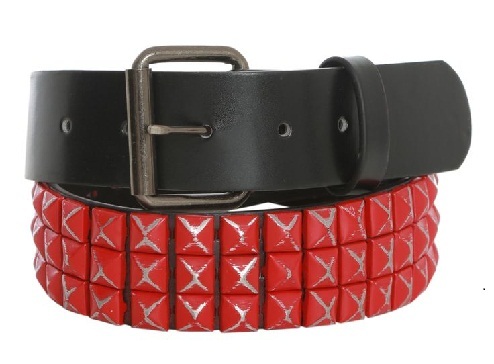 Here are top 9 studded belt design for Women and Men. Small pyramid design made from shiny metal, it is made more attractive by sticking them to a black leather belt, Generally, shiny pyramid design is made from white silver metal as well from black metal. This is another cool variation given to simple metal structure which is then super glued to the belt in a three row fashion. 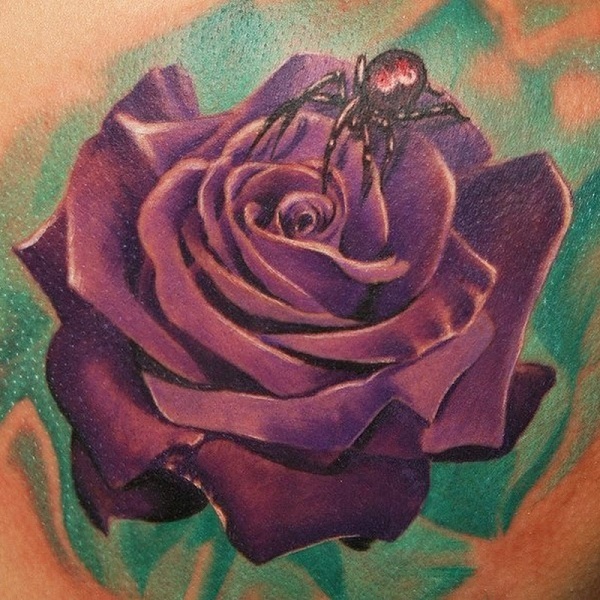 Usually black is a universal color which goes well with all kind of colorful clothes. The size of the cone is usually around 1-2mm. This eye catchy colorful square shaped Plastic structure are used in an innovative way by using them along with s simple leather or synthetic leather belt. 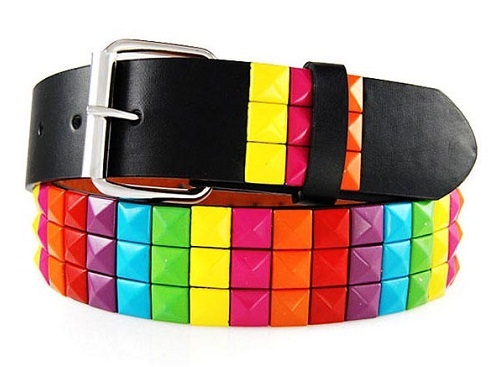 The size of the square is within 1mm since a row of these colorful metals is glued onto the belt. 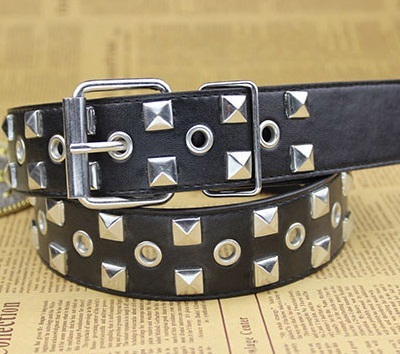 In this punk belt, various designed metal structures are used in designing this studded belt. The combination of circular, triangle, pyramid and shaped metal are used in creating an innovative design all around the belt. The hot red color is the most happening and favorite color for teenage girls as well for ladies.This type of colored belt goes well with a simple plain top and a pair of jean.The width of the belt is around 2cm. 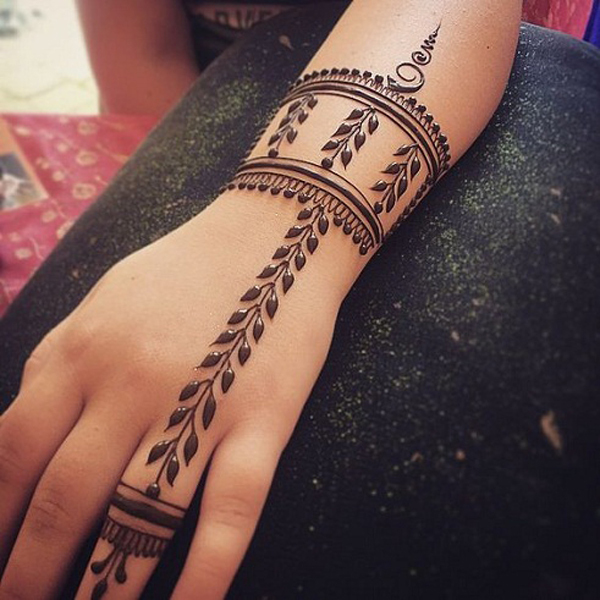 This is yet another favorite design for all girls and ladies. 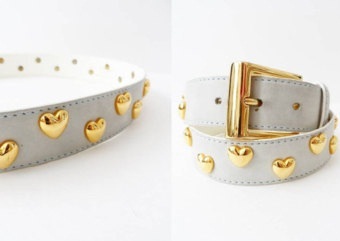 The cute golden heart shaped metal structure is glued around a white color leather belt.The contrast color of White and gold is a fabulous combination. This beautiful ethnic designed made from round mirrors is definitely a good piece of handwork casting the creativity of the designers. The mirrors are studded around the golden belt with golden thread work running around the edges of these mirrors. 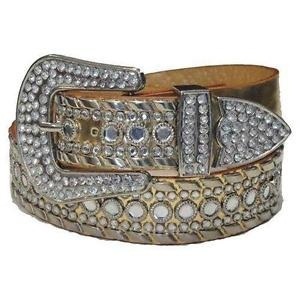 This type of belt will go with a cropped jean and synthetic top. 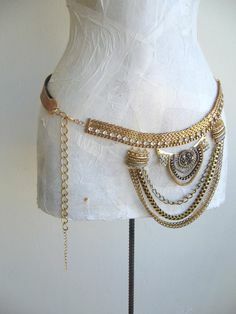 This ivory chain belt used commonly by Indian ladies during any festive occasion as well as adding extra grace to a dress by wearing them on top of the dress running around the hip region. The ivory chain belt is highlighted with row chain design and stone work chain attached on the lower end of the belt. 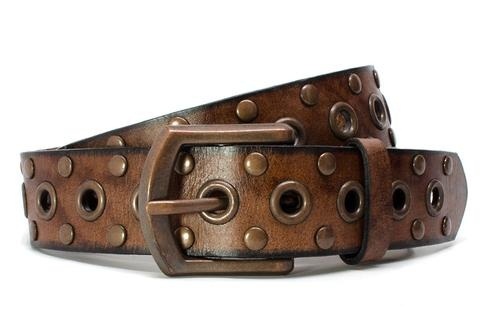 Faded brown leather belt is a mandatory accessory seen in all men´s wardrobe. Due to its vintage look, the belt looks very rich and unique from the usual design belts. The belt is highlighted with small circular metal rings creating a hold in between the belt. Depending on the type of occasion studded belts design can be worn. For that, it is high time to start collecting studded belts designs in your wardrobe which includes for both men and women parties. 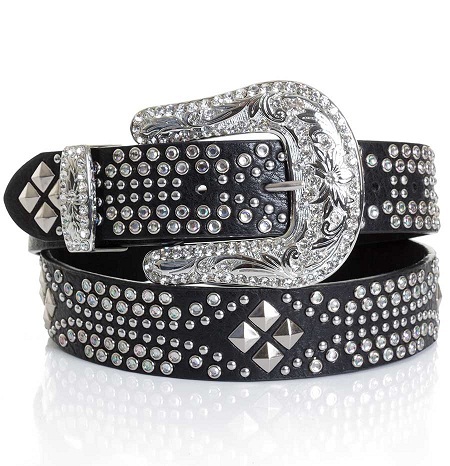 The punk belt is best suited as a party wear belt due to its shiny and cool looking design. Faded vintage belts can be used as a semi-formal or casual wear depending on the type of outfit. How to do a Rope Braid? How to Maintain Old Friends?